Providing you with the latest in dance! DanceDomain provide dance workshops for schools, colleges, youth programs, councils, corporate team building events and even other dance schools. We also supply chorographers and dancers to casting companies for Theatre, TV and Film work. 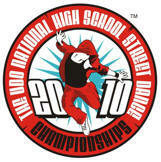 The UDO in conjunction with Sports England, EMDP and Beat Bullying are proud to present the first ever National High School Street Dance Championships sponsored by HABBO. 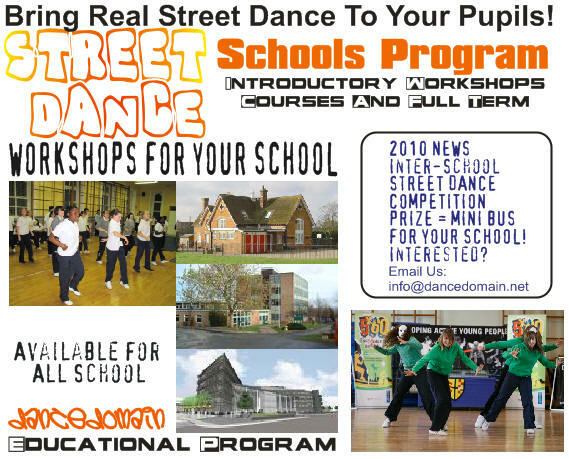 If you are looking to run a Street Dance Workshop download the form below and return to us. DanceDomain can bring the best out in your pupils. Our Staff are Fully Qualified, CRB Enhanced Checked and Fully Insured. List of Schools, Colleges, Youth Clubs, TV, Casting & More! For a list of our clients please contact us... This page will be updated soon. "Attend one of our own workshops, they are open to the public."